Delta was originally a railroad switch called Aiken. In 1905 Aiken was renamed Melville when Millard County began plans to set up irrigation and a dam. People were given free land to move to the new town as long as they agreed to develop a 40-acre lot. The name was change again because of the similarities between Melville and Millville, another town in Utah. The name was changed on May 12, 1908 to Burtner. The name was finally changed to Delta on May 11, 1911. The name is quite fitting as the area was a delta of Lake Bonneville. During World War II, after the attack on Pearl Harbor, tens of thousands of Japanese-Americans were gathered up and placed in ten incarceration camps with the intention of protecting military installations from espionage. 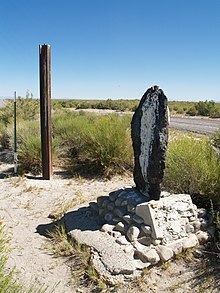 One of these camps, then titled Central Utah Relocation Center, was located near Delta and filled with former residents of the San Francisco Bay Area. Delta is located at 39°21′11″N 112°34′25″W﻿ / ﻿39.353145°N 112.573656°W﻿ / 39.353145; -112.573656 (39.353145, −112.573656). In the city, the population was spread out with 38.7% under the age of 18, 8.2% from 18 to 24, 24.3% from 25 to 44, 18.1% from 45 to 64, and 10.7% who were 65 years of age or older. The median age was 28 years. For every 100 females, there were 103.4 males. For every 100 females age 18 and over, there were 94.9 males. One of the main sources of income for Delta is a power plant operated by the Intermountain Power Agency, known as the Intermountain Power Project or I.P.P. It is also referred to as Intermountain Power Service Corporation or I.P.S.C. This coal-powered power plant supplies power for much of Los Angeles county in California. The plant was originally designed for four units, but only two have been built. Each unit produces 900 megawatts of electricity. Brush Wellman is a mine and refining plant located at one of the few sources of concentrated beryllium in the world. The plant is a mill and finishing facility for beryllium, a high-strength, lightweight metal used in military, aerospace, and medical industries. The ore for the plant comes from Brush Wellman's mine, located in the Topaz-Spor Mountains, 50 miles west, which is North America's only developed source for the metal. The facility is located here due to the remoteness of the area, as beryllium dust is highly toxic, and the proximity of a large source of power: the Intermountain Power Project. Graymont Lime has a plant in the Cricket Mountains, about 32.5 miles southwest of Delta. It is one of the 10 largest lime plants in the United States. It was previously owned by Continental Lime which was purchased by Graymont Lime. Alfalfa hay is the main crop of the Delta area. Due to the dry climate in the Delta region, farmers are able to control the moisture content of the hay when it is baled. This is very important to prohibit mold growth. Delta is home to many dairy farmers who may ship the milk out of the county. Historically Delta has had two elementary schools housing the grades from Kindergarten to 5th grade; Delta North Elementary and Delta South Elementary. Delta South Elementary School is located at 450 South Center Street in Delta, Utah. DSES was originally built in 1982 to accommodate the growth in population due to the construction of the Intermountain Power Plant. The new school was finished in time for the 1983-84 school year and housed grades K-4. In 1989 the fifth grade was moved back to the elementary school. Because of declining enrollment figures, Delta South Elementary was closed in 2009. Delta Early Childhood Center was created using two thirds of the South Elementary building to accommodate preschool and kindergarten students in West Millard County. At the end of the 2014-15 school year, the Delta area schools were reconfigured, placing all of the students in preschool, kindergarten, and first and second grades at Delta South Elementary School. Currently, Delta South Elementary School employs 52 people serving approximately 532 students in pre-2nd grade. Students come from Delta, Oak City, Lynndyl, Leamington, Hinckley, Abraham, Sutherland, Oasis, Deseret, Sugarville, and Woodrow. Delta Middle School serves approximately 420 students in the sixth, seventh, and eight grades and is located in Delta, Utah. Its students come from the City of Delta and several smaller surrounding communities in Millard County. DMS has a staff of 21 teachers, nine instructional assistants, and eleven additional support personnel. 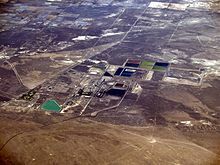 Delta High School is a public school located in rural central Utah, drawing students from several small outlying communities. With a new school and a diverse student population, Delta High is the hub of an agricultural based community. According to the 2013-2014 DHS report card Delta had 549 students enrolled from the grades 9th-12th and an 87% graduation rate. Delta High School Athletics is famous for its successful history in wrestling. As of 2016, the school had won 32 wrestling state championships. The Snow goose Festival occurs every winter as the geese migrating through Delta stop at Gunnison Bend Reservoir. Each July 4, the Hinckley Lions Club sponsors a demolition derby at the Millard County Fairgrounds. The derby attracts crowds in excess of 3,000 people. It is one of the largest derbies in the United States with up to eleven rounds of competition including pickup trucks, figure 8 compact car competition, powder puff, a championship round and a wipe out round. Following the derby, there is a fireworks display sponsored by Delta City. A Professional Rodeo Cowboys Association (PRCA) Rodeo takes place every year. See Days of the Old West PRCA Rodeo for more information. ^ Utah, Delta,. "History :: Delta, Utah ::". www.delta.utah.gov. ^ "Utah History Encyclopedia". www.uen.org. ^ "Topaz Museum". Retrieved July 1, 2016. ^ "Home". www.millardk12.org. Retrieved June 29, 2016. ^ "Utah Education PACE Report Card". 2013. Retrieved June 29, 2016. ^ UHSAA Sports Records Book. http://www.uhsaa.org/RecordsBook/Records_Book.pdf: UHSAA. 2016. p. 177. 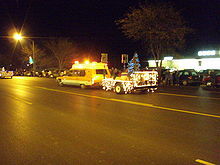 Wikimedia Commons has media related to Delta, Utah.